Indesit Company is searching for an agency to add to its roster for events, which will include a 100th anniversary celebration in 2011. The firm's events manager Jayson Weston has been conducting informal meetings with 11 agencies and will appoint the successful company at the end of the month. 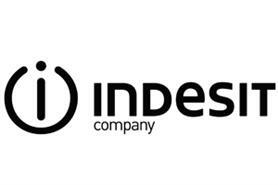 BSI and Line Up currently work with Indesit Company - which owns Indesit, Hotpoint and the newly launched luxury brand Scholtes - but a third agency will be added to the roster. The company runs around 75 events a year, including conferences, hospitality, golf days, training sessions and incentives. Weston commented: "It is not important that the agency has a knowledge of white goods, it is about proving they can run an event of the magnitude we undertake, which can be upwards of £1m." Indesit Company will be launching its pitch process for a large event to celebrate its 100th anniversary in 2011 this month and Weston said he expected extra investment in his budget to meet the brief. Although the events budget was reduced by 25% last year, it has now been reinstated and increased by 20%, he added. Quizzing the agencies is a five-strong panel comprising Weston, as well as Indesit Company's commercial director, managing director, marketing director and brand director. Weston said the maximum number of agencies he would include on Indesit's final roster is three. However, agencies that Indesit has been in discussions with at the initial stage include: Smyle, P&MM, BI, Fab, Definitive Events, Group Se7en Events, SMi, Zibrant and Adding Value.